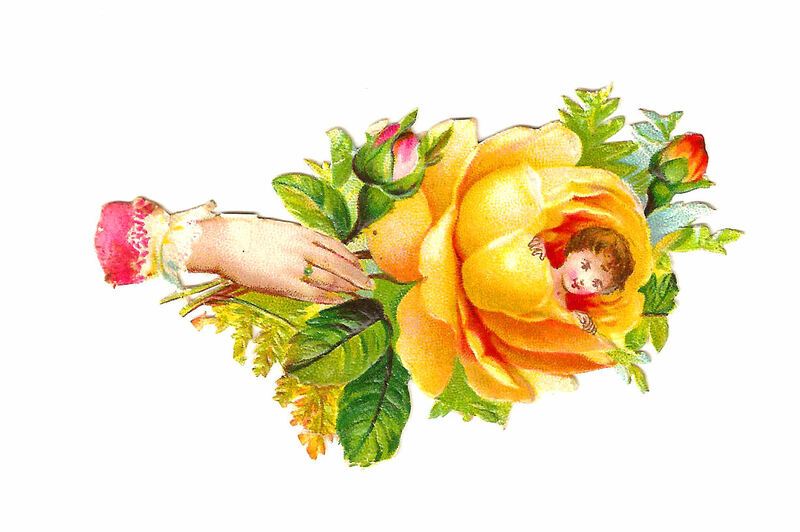 I love these little Victorian scraps with the little babies inside the roses! So cute! This is a pretty Victorian die cut of a yellow rose hand whimsy. And, isn't this rose bright?! I particularly love this one because the rose is yellow, of course. It's my favorite flower! 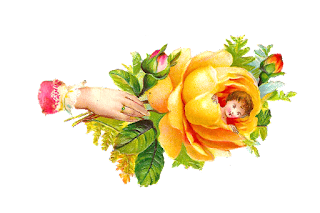 I've give you both the .jpg and .png of this image. I hope you enjoy!